When people search for you, does your phone number show up? Is the right address and website listed? 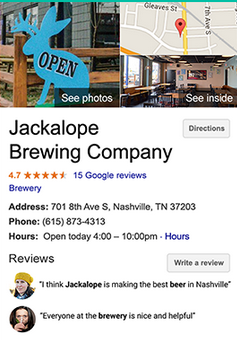 Manage your free business listing on Google Search and Google Maps — for free. Really. You can set your company’s hours, contact info, and more. Customers find the right info, right at their fingertips — and can get in touch with just a click. Follow this link, to Google Business for a detailed run-down on updating your listing with Google.